I have been out on my bike a lot in the last few weeks, enjoying Yorkshire’s fields of gold, as the iPhone selfie below will testify. It would seem that the whole of North Yorkshire is covered with a deep yellow sea-bed of yellow. Yorkshire fields of gold indeed. The pictures below were all taken on Sunday 26th April on my Leica M with a 50mm Summilux, I wanted to get as bright a frame-full of yellow carpet as possible, a bit noisy but an amazing landscape at this time of year. Who would have thought that Yorkshire rapeseed oil was so good for you as well? I found some Yorkshire based manufacturers and there is a link below to Yors, who produce cold pressed Yorkshire rapeseed oils that are far better for you than traditional olive oil! In the beautiful county of Yorkshire, we grow, press and bottle all our Cold Pressed Rapeseed Oil on the family farm. 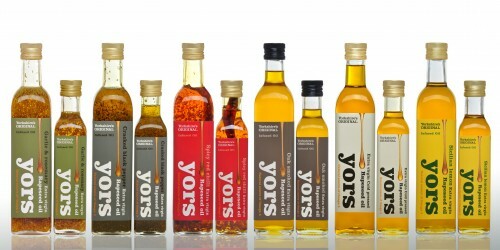 This premium Rapeseed Oil is harvested without the use of chemicals to ensure ‘yors’ oil is an all natural alternative. This golden coloured Yorkshire Cold Pressed Rapeseed Oil is suitable for a wide variety of diets including vegetarian, and gluten-free. Low in saturated fat and high in Omega 3, the oil is a naturally healthy oil with half the saturated fat of olive oil and the high burning point ensures a fantastic result every time. As leading wholesalers Find ‘yors’ Extra Virgin Cold Pressed Rapeseed Oils at major supermarkets such as Tesco, Asda, Morrisons, Waitrose and Booths. Our fantastic range of salad dressings can now be found in store in Chilli, Ginger and Orange, and Summer Herb varieties. Both made with our award winning oils and hand made vingears to ensure that the quality is fantastic, and the flavour second to none. This entry was posted in Photography on April 29, 2015 by broady964. I like York station; it takes me back to my childhood. The first York railway station was a temporary wooden building on Queen Street outside the walls of the city, opened in 1839 by the York and North Midland Railway. It was succeeded in 1841, inside the walls, by what is now York old railway station. In due course, the irksome requirement that through trains between London and Newcastle needed to reverse out of the old York station to continue their journey necessitated the construction of a new through station outside the walls. This was the present station, designed by the North Eastern Railway architects Thomas Prosser and William Peachey, which opened in 1877. It had 13 platforms and was at that time the largest station in the world. As part of the new station project, the Royal Station Hotel (now The Royal York Hotel), designed by Peachey, opened in 1878. In 1909 new platforms were added, and in 1938 the current footbridge was built and the station resignalled. The building was heavily bombed during the Second World War. On one occasion, on 29 April 1942, 800 passengers had to be evacuated from a Kings Cross-Edinburgh train which arrived during a bombing raid.On the same night, two railway workers were killed, one being station foreman William Milner (born 1900), who died after returning to his burning office to collect his first aid kit. He was posthumously awarded the King’s commendation for gallantry. A plaque in his memory has been erected at the station. The station was extensively repaired in 1947. I first went there as a baby in 1963, there was always a big Christmas tree and presents for everyone underneath it. Of course it’s a lot busier now, and not how I remember it, but it still has that magnificent roof that always brings me back, and with a wider lens I could really do it justice. This entry was posted in Photography, Rail travel, Yorkshire and tagged Railways, Station, trains, York, yorkshire on April 5, 2015 by broady964.